They finally let the girls into Rotary. And nothing has been the same since. 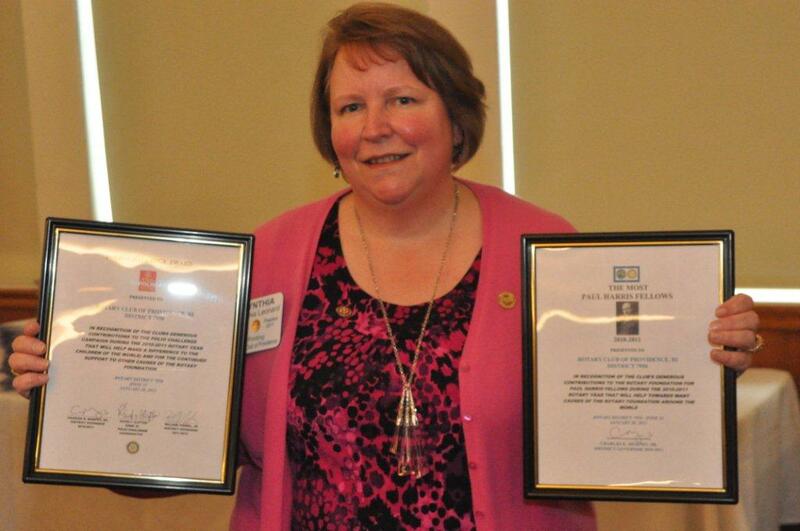 That is me, holding up two of the awards our club recently received. Providence Rotary is the 22nd Rotary club formed in the world – 102 years ago. There are now 34,300 Rotary clubs around the world. Rotary.org: News – Historic Moments: Women in Rotary. This entry was posted in Rotary Club of Providence and tagged award, Paul Harris, Public Service, Rhode Island, Rotary, Rotary Club of Providence, Rotary International, service, Service Clubs, United States, women in rotary. Bookmark the permalink.